charming in-town duplext with private rear yard, driveway and deck accessed via private driveway and road. Light, bright and in-town location. 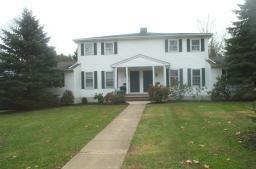 JUST RENTED-Lovely Duplex, in-town location-separate private road access with yard, deck, garage. Freshly painted, impeccable condition. Great location right in-town, sidewalks and close to shopping, transportation.